Two weeks ago I participated in the Clear The Clutter Challenge Link-Up with my Kitchen + Pantry Organization Tips & Tricks post. Today’s topic is Kid Space and since this house is a Kid House, I thought I would share what has worked and what I still need to work on for the kids’ spaces here. 1. Go easy on yourself, kids live in your house, of course their toys are everywhere! 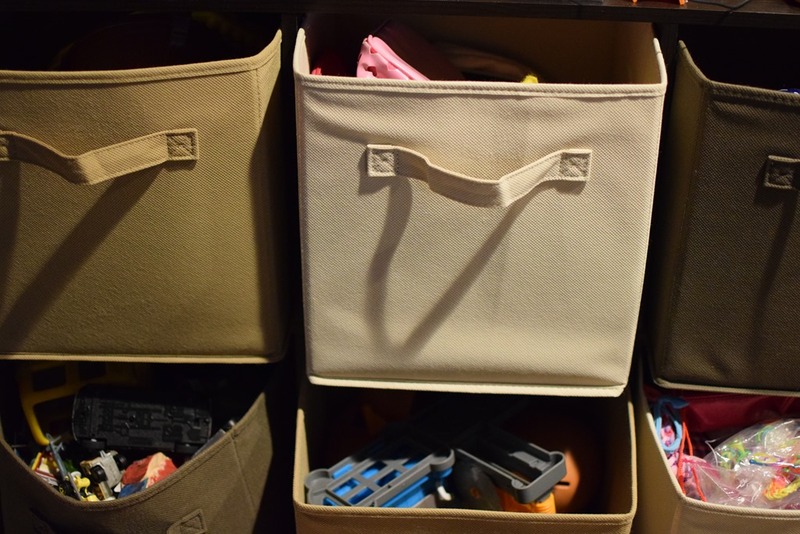 But here are some of the ways we (try to) keep our kids’ things organized. 2. Have a designated toy area. Ours is the basement, but for awhile, much of the toys were in the living room. 3. Have places for the toys that are not in the designated area. We use a cube system for the toys that are still in the living room, as well as bins and baskets for electronics. 4. Get rid of the toys the kids no longer play with. We kept too many toddler toys around for too long! Last year I sold a lot of things in the consignment sale that I participate in, plus I donated toys to the preschool my kids went to. I cleared out our whole collection of toys that resided in the basement so now the kids have a bigger place to play down there as well. I put sentimental items away in bins. 5. Go through the kids’ clothes each season. I neglected to do that with winter clothes this past year and it’s already time to go through the spring / summer clothes! I am able to move a lot of Zachary’s things straight into Simon’s closet, which is helpful for him having enough to wear, but his closet gets full quickly! I need to go through their clothes asap! 6. 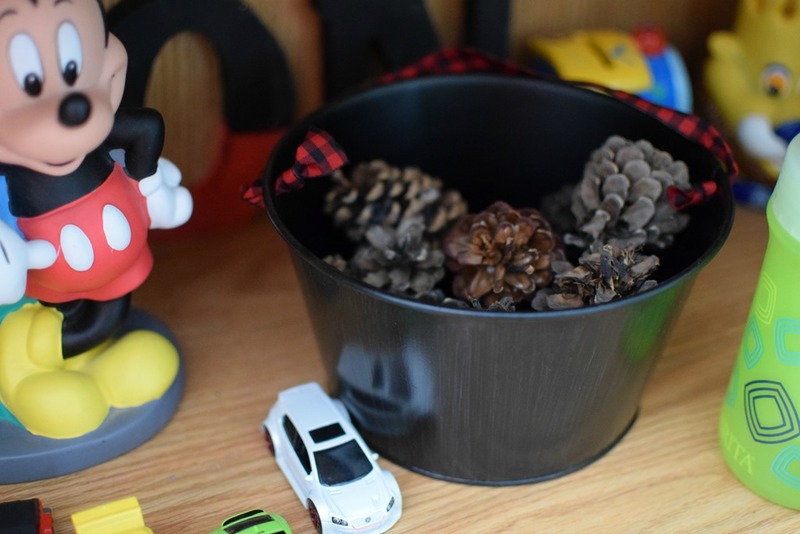 Let the kids collect the things they like in their rooms, but give them bins to keep things in. 7. Regularly clean out the bins where random things gather! 8. 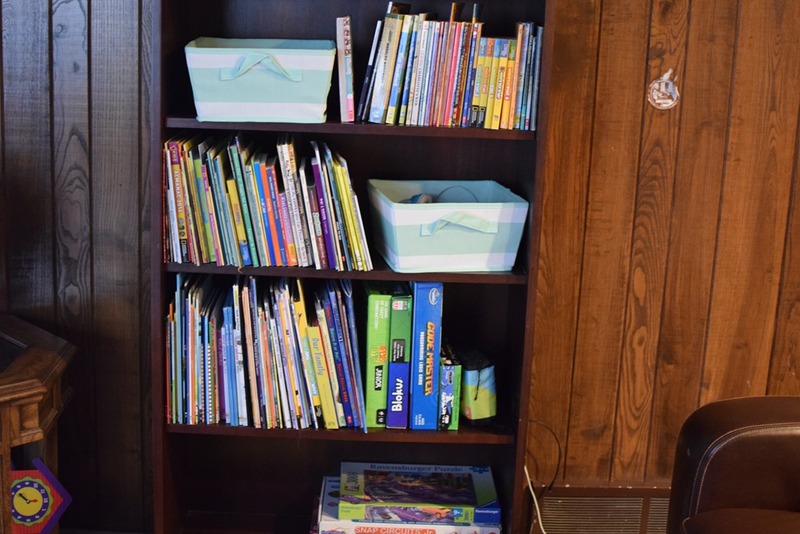 Make sure your kids’ favorite things are organized. 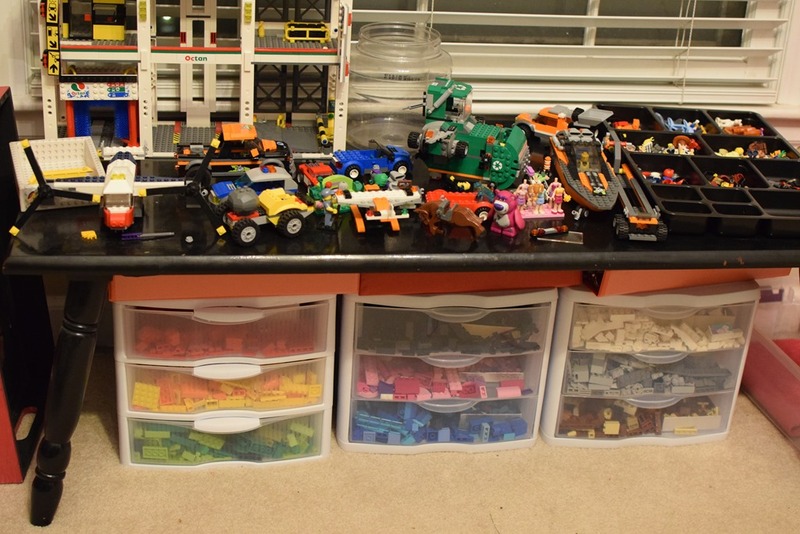 Here’s how I organized our Legos and craft supplies! 9. Give your kids the responsibility of taking care of their own things. I know, it’s easier said than done. But when they put their things away and know where they are when they want them, everyone will be much happier! 10. Which brings me back to my first point. Remember, as moms, we can’t do everything! 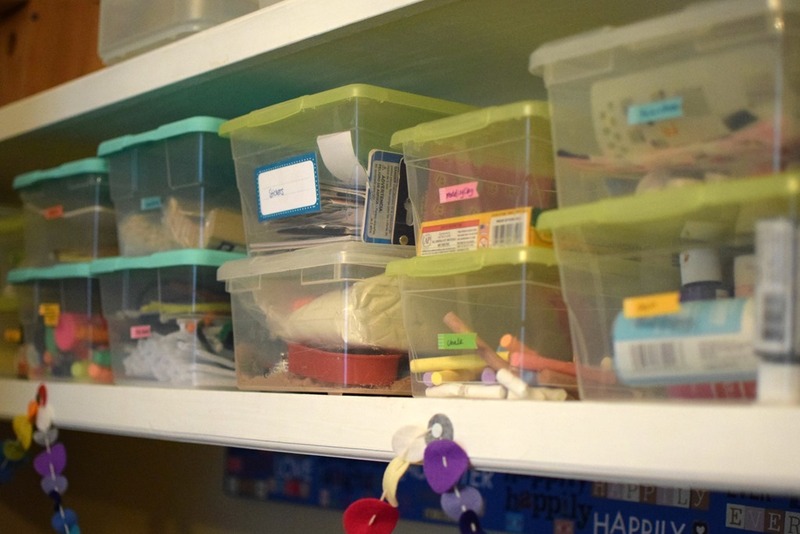 What are your best tips for keeping kids’ things organized?